Why not make some attainable goals this year? That’s MY new year’s resolution. New year’s resolution for 2015…….To create some attainable goals this year. That’s MY resolution. Why is it that we make resolutions that can be really hard to keep? Why don’t we choose attainable goals that we can strive toward and feel good about achieving. Instead, we make resolutions about running a marathon or climbing a mountain when we have never done any of these activities before and don’t even have the proper tools to get us there. Do we want to fail? Do we like not achieving our goals? 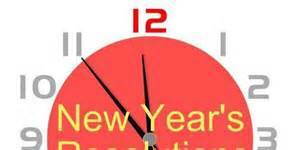 Why do we think it terms or “all or none” when it comes to the new year’s resolution. I have an idea. Why not do things differently this year. Let’s think about attainable goals within our reach. Like….I’m going to be a better friend this year or I’m going to be kind to my siblings and more respectful to my parents. Or, I’m going to try my hardest in school. These are resolutions completely within your control. If you want to give back to the community, how about committing to volunteering at an animal shelter or a food bank ONCE a month. That’s just 12 times a year. Pick 12 different organizations if you like. This is totally doable and not overwhelming. You will feel good about helping others and the organizations will appreciate your time. Everybody wins. Also, do it with a friend so you have each other to lean on. Think about resolutions as something you achieve on a monthly basis. Like, in January I’ll clean out my grandparents attic for them. In February, I’ll teach my little sister how to ride her bike. In March, I’ll help my mom plant flowers in the yard. You get the idea. Write up your list and keep it handy. This way you can feel good about your resolutions as you complete them. It will give you a sense of accomplishment every month of the year. If you can’t come up with your list, ask a friend for help or share with your parents. Better yet….why not get your school involved and have the list filled with things that your entire class can accomplish together. That sounds like a fun way to give back, keep your resolutions and feel good about yourself during the process.